Do you need a bigger file? The file available on this site is 1024 x 757 px. To obtain an alternate file type or higher resolution copy, please contact the owning institution. 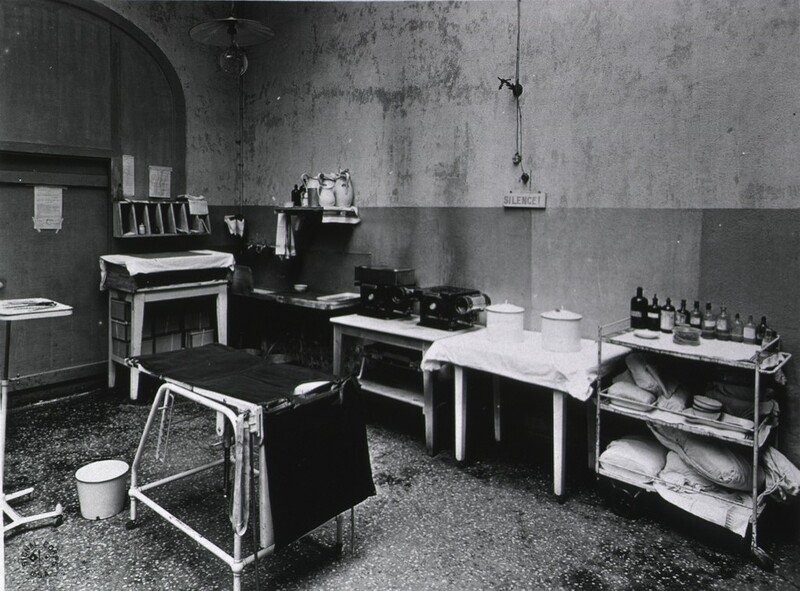 Scope/Content: Surgical clinic, Metropole Hotel, France; From a publication titled The Thirtieth in Two World Wars: The Story of the University of California Medical School Unit by Meyer Schindler, MD, copyright 1966 Alumni Faculty Association UCSF; Medical service in World War I; Base Hospital 30, United States Army. Base Hospital 30 collection, AR 2017-16, carton 1, The Thirtieth; High resolution image courtesy the National Library of Medicine.